Officials visited West Ham's training ground in February. Robert Snodgrass and Michail Antonio were on target for the Hammers. Sports Mole selects its Premier League team of the week for gameweek 15, including Harry Kane, Riyad Mahrez and Virgil van Dijk. The midfielder has seen his playing time limited by injuries since his move from Arsenal. West Ham winger has proven his worth this season. Sports Mole provides team news, predicted lineups and a full preview of Saturday's Premier League clash between West Ham United and Manchester City. 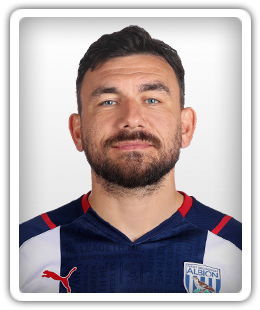 Aston Villa manager Steve Bruce is reportedly still interested in bringing Robert Snodgrass back on loan to the Championship club. Steve Bruce is reportedly ready to leave Aston Villa following concerns over the club's financial situation and potential administration. Cardiff City to make move for West Ham United winger Robert Snodgrass? Cardiff City will reportedly make an approach for West Ham United winger Robert Snodgrass in the coming weeks. A first-half goal from Tom Cairney earns Fulham a 1-0 victory over Aston Villa in Saturday's Championship playoff final at Wembley Stadium. Aston Villa are skippered by John Terry at the back as Steve Bruce's side prepare to face Fulham in the Championship playoff final at Wembley. Relive Sports Mole's live coverage as Fulham beat Aston Villa in the Championship playoff final to earn promotion to the Premier League. Sports Mole previews the Championship playoff final as Aston Villa take on Fulham at Wembley for the chance to gain promotion into the Premier League. Aston Villa keep themselves in the hunt for an automatic promotion spot in the Championship thanks to a slender 1-0 win over Leeds United at Villa Park. Birmingham City climb out of the Championship relegation zone thanks to a 3-1 win over fellow strugglers Sunderland on Tuesday night. Aston Villa beat Midlands rivals Nottingham Forest 1-0 for their first league win at the City Ground since January 1995. Aston Villa miss the chance to move back into the Championship playoff places courtesy of a 2-1 defeat at the hands of Brentford at Griffin Park.